The problems with Ethiopian politics are in its ethnic pseudo-partisan and fake political systems where military and ethnic lobbying groups were given legitimacy to act as if they were political organizations. For some time, things are getting worse by introducing religion into the existing mess. The Somali phenomena is closing into Ethiopia, with all its ugly deeds and criminal foreign exploiters. Any real political party or organization must fulfill essential and minimal specific criteria to be called a political party and be allowed to operate as such. 12- It must be creative, scientific, and civilized in all its units and departments. Complaining from the corruption and ethnic biases of the existing Ethiopian political so-called parties are hypocritical, unrealistic and illogical since it protesting against foul play in an already foul game following foul rules. It is the criticism of failed aggressors against successful aggressor. Therefore, turning the table around will never make any good for Ethiopia and the people at large. Just scrap these corrupt partisan and political systems, and create true, reliable and fair political parties and political system. A very essential principle in a natural and fair political system is in adhering to be loyal to the land and serve it. People don’t own nature but just serve and develop it. A successful and efficient political system must allow wider popular participation and deeper and reliable representation of votes. This system must take into account and protect the social, economic and political interests and diversity of electorates. 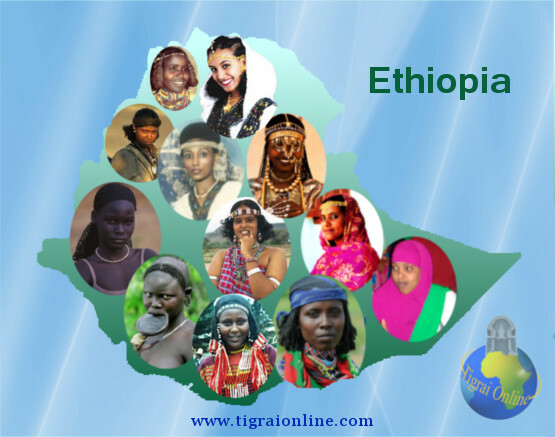 Ethiopia has a total area of 1,104,300 sq. km. 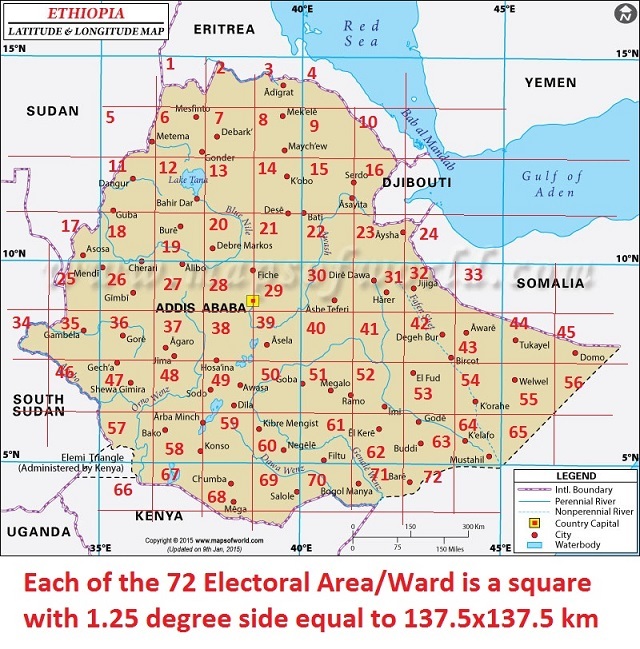 It could be a grid of about 62 equal geographic electoral areas/wards as constituencies, each is a square of 137.5 km side (1.25 degree Longitude and Latitude). Regardless of its number of population and their ethnicity, equal constituencies shall represent the land and the people who are serving the land and nature as responsible guardians towards the Creator. Each voter in each area/ward elect 3 representatives. One for social issues, a second for economic issues, and a third or political issues. Each area/ward shall be represented in the House of People’s Representatives by 3 representatives.